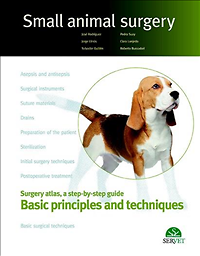 In this book, the authors have tried to show, in a brief and practical manner, the basic principles and techniques that veterinary surgeons, nurses and students should know, master and improve to enhance the surgical care provided to their patients. The book features chapters about the different methods and techniques to control bacterial contamination and surgical infection, both in terms of the fight against microorganisms and the surgeons and assistants practices in the operating theatre. Information about the instruments and suture materials most commonly used in surgery, how they should be handled, and how to use them to cause as little trauma as possible to the patient, is also provided in other chapters. All the content is illustrated by a large number of images to follow the procedures and techniques described step by step. In addition, the e-book includes high-quality and instructive videos to complete the readers knowledge of surgery and his/her training.